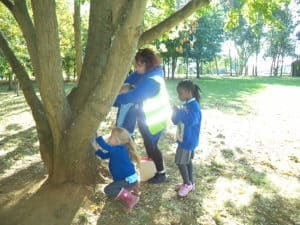 The children in Year 1 had a glorious sunny afternoon walk up to Great Billing Pocket Park to investigate the trees and the woods in our local environment. 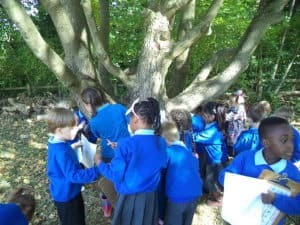 The children were particularly looking at the variety of leaves and seeds seen at this particular time of the year. 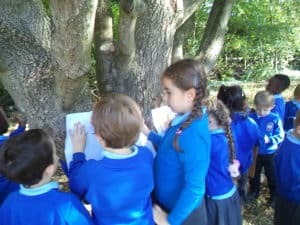 They also enjoyed taking some wax rubbings from the tree bark to compare patterns when we were back at school.